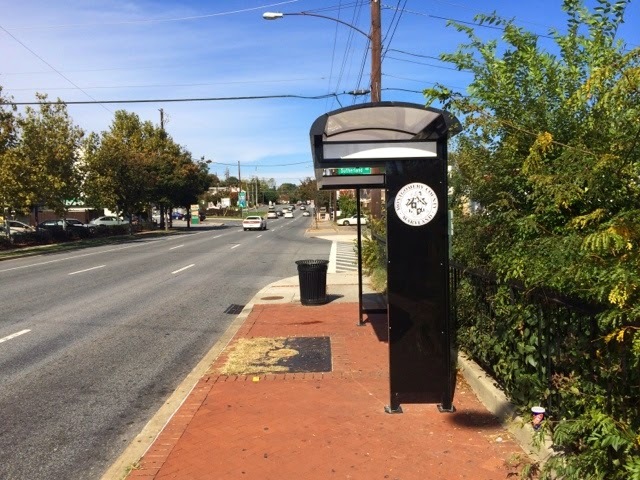 Montgomery County installed this new bus shelter at the intersection of University Boulevard (westbound) and Sutherland Road a few weeks ago. It was placed adjacent to the parking lot for the Fresh Greek Grill and Red Maple restaurants, and it is located at a heavily used bus stop served by routes 9, 19, C2, and C4. This bus stop is very popular, as it is the best way to transfer from the southbound Z bus routes to the westbound C routes. There is little doubt that a shelter here is useful for transit riders. The problem is that installation of the shelter was poorly implemented. The new bus shelter at University Boulevard and Sutherland Drive. Photo by the author. While perusing the extensive photo archives of the Woodmoor.4 Corners Facebook page, I found the below picture from the 1950's. It depicts the dedication of some new benches in front of the Woodmoor Shopping Center, on land which is now part of the expanded front parking lot. 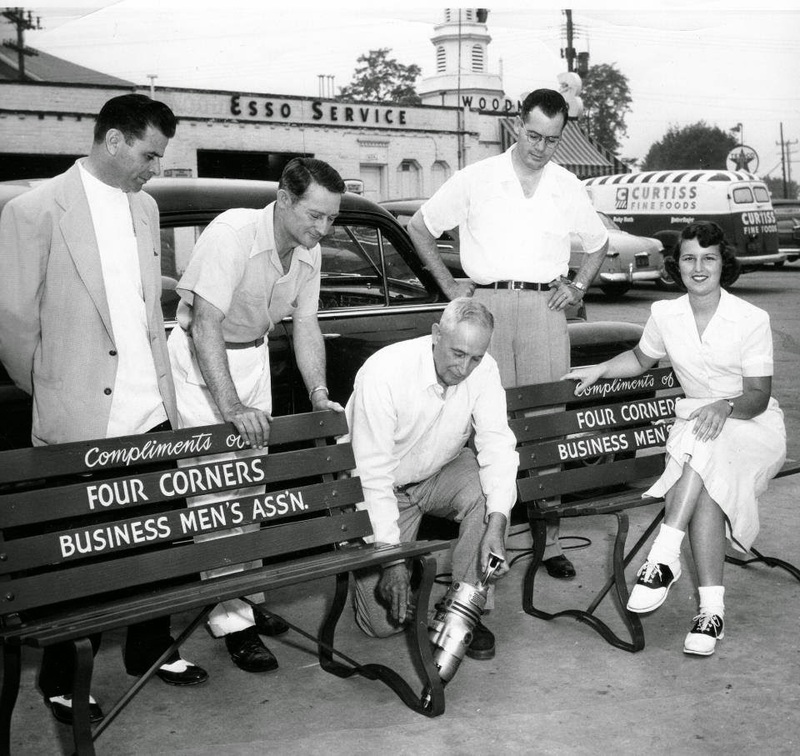 Most intriguing to me, besides the obvious historic nature of the photograph, was the organization which sponsored the new benches: the Four Corners Business Men's Association. University Boulevard is a major east-west connection between Montgomery and Prince George's counties. 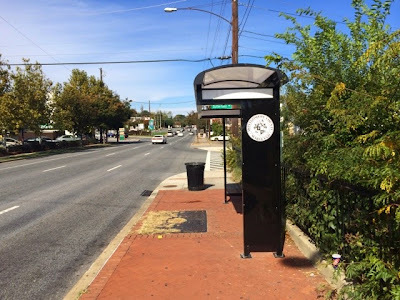 In Four Corners, University Boulevard (MD Route 193) carries less traffic than Route 29, meaning it is not talked about as much when it comes to transit issues like BRT. In most articles I've read about transit issues affecting east county, University Boulevard receives only a passing mention, if it gets mentioned at all. The conversation usually revolves around Route 29. Here is an interesting fact to consider: University Boulevard has the highest ratio of transit riders to overall road users in Montgomery County. Over a quarter of road users on University Boulevard are bus riders. In 2012, University Boulevard through Four Corners averaged around 36,000 vehicles a day, the vast majority of which were single-occupant vehicles. That same year, Metrobus routes C2 and C4 had a combined ridership of nearly 12,000 riders a day, with nearly all riders travelling between Wheaton and Langley Park (the segment in which the C2 and C4 operate concurrently due to high ridership). C2, C4 route map. Image from WMATA. We're back... and thank you! As regular readers may have noticed, this blog has been on a break for the past month. Perhaps some of you thought that this blog had gone dead or dormant, like many other local blogs have. As a blog reader myself, I'm always a little sad when I come across a great blog which has not been updated in a long time. On the other hand, it's refreshing when I find a great blog which is regularly updated (at least once or twice a week). If said blog is consistently updated with thought-provoking and well-researched posts, that's all the better. So has Around the Corners joined the ranks of those dead blogs? No. This is Around the Corners. We don't go dormant for more than a couple weeks without a decent explanation. So why the break? For one, your friendly community blogger is a 19 year old college student. This blog is basically a one man operation. Everything written on here so far, with the exception of one post, has been written by me: Sean Emerson. At the end of August, I returned to Washington College for my junior year, which means my free time was somewhat diminished from what I had during the summer (although I did work two jobs over the summer). However, blogging from college is not the main reason for the hiatus, since I did that all last spring with relative success. 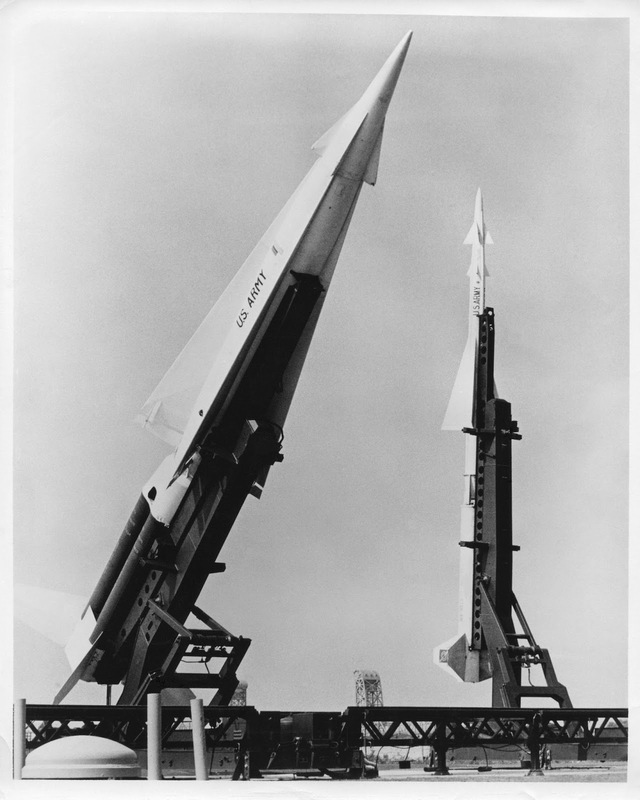 The primary reason was a technical one. I had originally planned to take a two week break from posting when I returned to school to get back in the college routine, but just as I planned to start blogging again, the hard drive of my laptop crashed. This was a major problem, since most of the stuff I use to blog (my Four Corners photo archives and my customized version of Google Earth) were on the laptop. Thankfully, everything is backed up on a portable storage device, because I had long planned for technical difficulties such as these. However, this was still a major inconvenience since the only computers I had access to were my friend's or those here at the college library, meaning I had to use my limited computer time for getting schoolwork done. I felt like it was circa 2002 when I was in second grade and my parents only allowed me one hour of "computer time" a night (I was an outdoor kid, so I really didn't mind limited computer time). Anyway, my computer will be back in service soon, so you can expect me to be posting regularly again within the next week or so. The break gave me a chance to reflect on the blog and how much it has grown in the past 10 months. I basically started this blog as a fun experiment, and I didn't expect it to get much traffic or attention. To my surprise, this blog has developed a regular following, and it has connected me with all sorts of great people. I am always humbled when people say "I love your blog!" or "Great job on that post!" since it reminds that people actually read this stuff and appreciate what I do. Positive feedback like that motivates me to keep writing, even when I'm feeling really lazy and I don't want to take the time to research a post. It is because of those regular readers and Four Corners community members who have supported me throughout this process that I have written this post, since I figured you all were owed an explanation for this hiatus. I would also like this opportunity to thank you, the readers, for your support. Running this blog is not the easiest thing ever, and sometimes I wonder why I still do it. But then I get an email or Facebook message from someone who says that the post I wrote brought back a great memory for them, or that it taught them something new about Four Corners, or that they are just happy to see someone blogging about this community. This is Part 1 of a series on the White Oak Science Gateway Master Plan and its impacts on Four Corners. 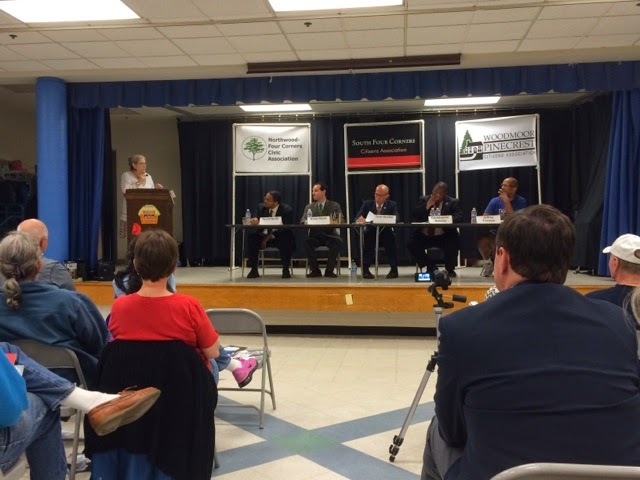 This is an intro providing an overview of the plan and its proposed changes to eastern Montgomery County. If you live in Four Corners, you've probably heard about the changes proposed for White Oak. The Montgomery Planning department has drafted a comprehensive Master Plan for the White Oak area, dubbed the White Oak Science Gateway Master Plan. 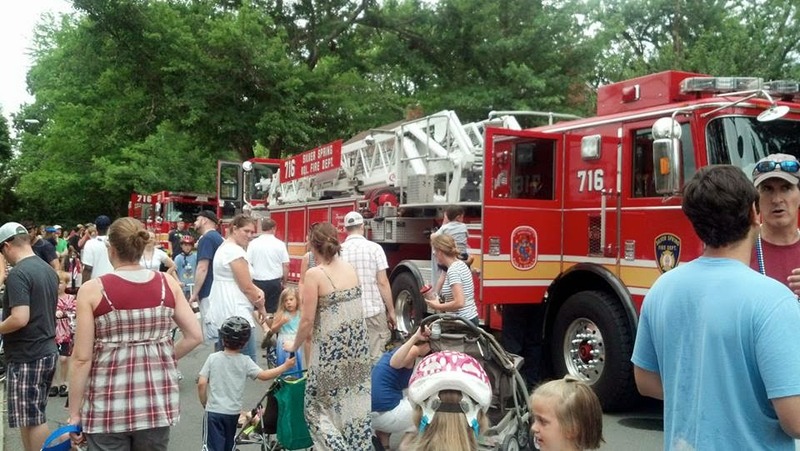 Over the next month, the Montgomery County Council will be holding several worksessions to dissect each element of the plan in preparation for a full vote on the Master Plan sometime later this summer. The plan for White Oak is a bold one. It imagines transforming White Oak from area with light industry, blighted commercial areas, and empty space into a new mixed use community with thousands of new jobs and new amenities, capitalizing on the presence of the Food & Drug Administrations consolidated headquarters. I've read through the whole plan, and its hard not to get excited about all the new possibilities. Planned activity centers in and around White Oak. Image from the Montgomery Planning Department. Its that time of year again... well, sort of. 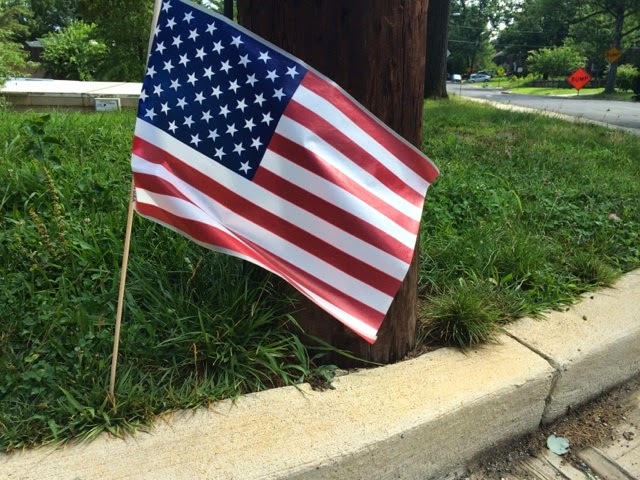 The Democratic primary was held yesterday (in case you missed all those lawn signs and stacks of campaign literature being delivered to your door every day). This year was the first time the primary was held in June, which is a deviation from years past, when it was held in September. The primary was moved up to accommodate those in the military serving overseas and other Americans abroad. I think its odd that this required moving the primary up 3 whole months, since this is 2014 and not 1814, and we have this thing called an absentee ballot which can be transported around the world in an airplane in a single day, but I digress. The June primary meant that voter turnout was especially low this year. Many people go on vacation in the summer, and with schools out of session, many people are not in the swing of things when it comes to politics and local issues. These conditions meant that those who did vote tended to be people who are already involved in local politics and informed on local issues. This is not necessarily a bad thing, but it means a fairly small group of people will ultimately determine who represents entire districts, counties, and the entire state. 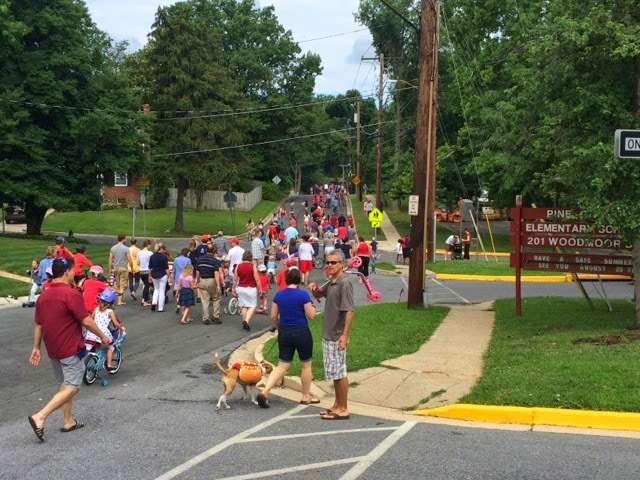 Colesville Road and University Boulevard define our community. Aside from being the origin of our name, they also take us to where we want to go. These two roads connect us to the rest of the region, and they get us to the places we visit for work, entertainment, and retail. Even a visit to a business not on your "corner" of the intersection requires a short trip on one of these roads. They are an undeniable asset to our community. Unfortunately, that broader regional connectivity comes at a price of local division. Had Colesville Road and University Boulevard been built with only Four Corners residents in mind, the intersection would be a quaint four way stop between two country lanes. But the roads aren't just for us, they are for people all across the area, and they have been widened over the years to accommodate those who pass through. This is the price of living in such a convenient place. These widened roads have been designed for speed and maximum capacity. The movement of motor vehicles is paramount, and any other use of the road must take a distant backseat to this functionality. Motorists receive subtle and not-so-subtle signals that their speed and convenience is of the utmost importance. Curves are made as gentle as possible to allow for drivers to navigate them with speed. 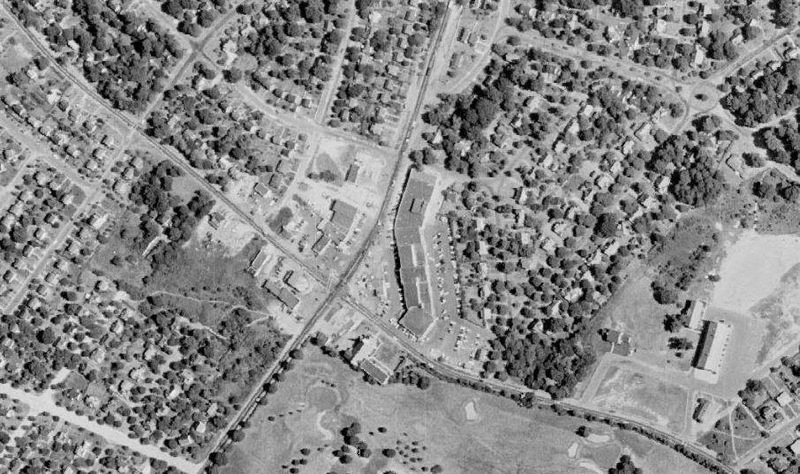 Grades have been smoothed out for the same reason (the shopping center with Red Maple and Kenny's Chicken wasn't always below the road surface as it is now). 11 and 12 foot wide travel lanes allow people to feel comfortable travelling at speeds of 40 or 50 miles-per-hour past homes and businesses. Traffic lights are also timed for maximum speed and through capacity, even though it may not seem like it sometimes. All of these road design factors send a clear message to drivers that their quick movement and convenience are priority one. A victim of design. The storefronts of this shopping center used to be at the same level as Colesville Road, before the highway was raised to a more gradual slope to facilitate faster vehicle movement. These shops have seen much higher business turnover than other commercial properties around the intersection since the change. When a local resident on foot or on a bike gets in the way of a motorist on one of these arterial roads, drivers not only feel immediately inconvenienced, but also, in an odd way; offended. The entire environment of the road sends drivers a message of speed, and then these slow moving objects get in the way, causing even the kindest of drivers to feel frustration and anger within a few seconds. The Northwest Branch Stream Valley is a great place to enjoy the outdoors, especially in the warmer months when large trees offer shade from stifling heat. The park is a great place for a hike or jog. I'm sure most Four Corners residents have visited the park at least once, since it is easy to get to from Route 29 at the Burnt Mills dam. 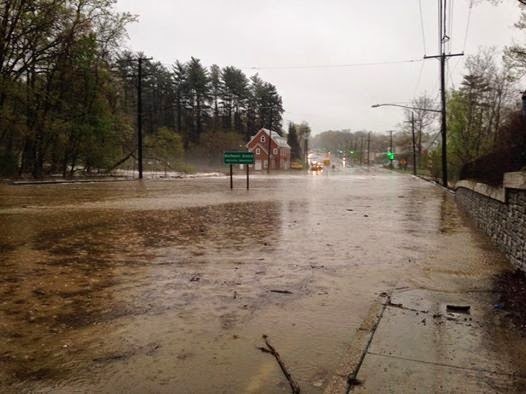 The recent flood and its subsequent damage drew attention to this area. The parking lots behind the two WSSC buildings provide a great access point to the Rachel Carson Greenway and the other trails that run through the park, and there are signs and visitor information for hikers at this location. While the area around the dam is a nice spot, its a bit "touristy" meaning it's where most people go to access the trails. On nice weekends, the trails on the east side of the creek which connect to these parking lots are often crowded with everyone from experienced hikers to families with small kids. 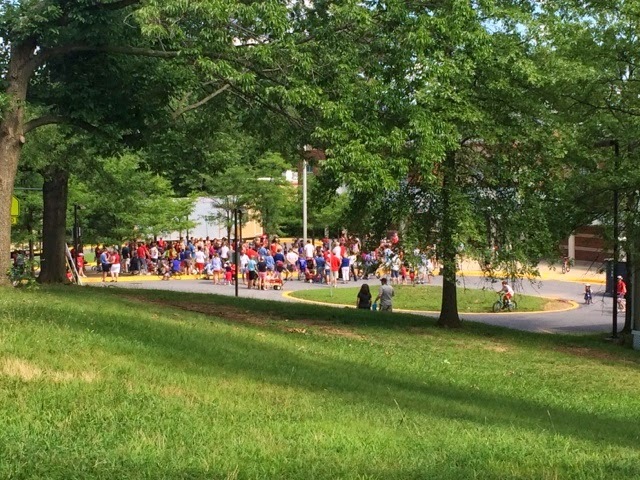 It's great that all these people are out enjoying one of Montgomery County's natural gems, but when the trails are crowded, it takes away from the rustic feel of the park. The Burnt Mills dam area is the most popular spot to enter the park, but it is only one of several places where the trails of Northwest Branch can be easily accessed. There are access points in all of the neighborhoods lining the park which lead to much less crowded trails, even on prime weekends when the parking lot by the dam is full. Trees on the Woodmoor side of the creek near the Williamsburg Drive entrance. Here are three of those alternate access points. I will include relevant details such as trail connections and difficulty. The trails I detail here are feeder trails into the main two trails, so the difficulty ranking only applies to the access trail and not the mainline trails which parallel the creek. 125 feet above Northwest Branch stands one of the most important pieces of infrastructure in the Washington D.C. region. It carries over 225,000 vehicles a day, and it forms a crucial connection between the east and west sides of the the National Capital Region. It links people to their homes, jobs, and social lives, and it is a critical component of regional commerce. 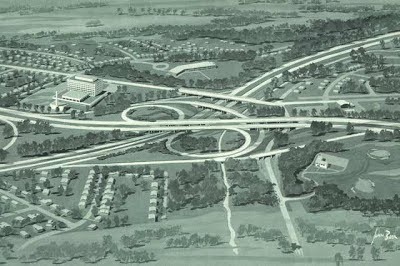 It was completed in 1964, and it formed the final link in the Capital Beltway, completing the 64 mile circumferential highway. 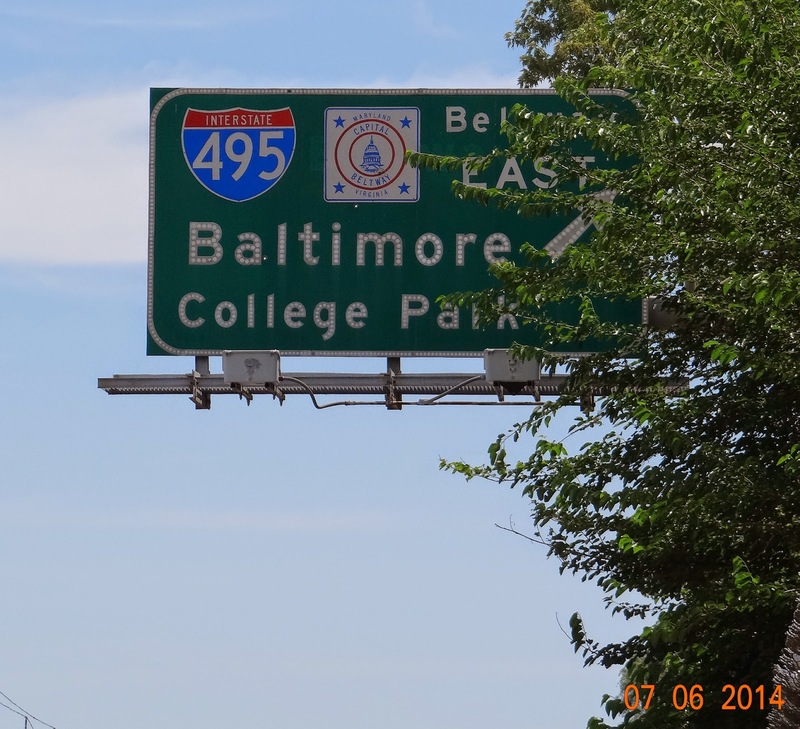 It is taller than most buildings in the area, and it is by far the tallest bridge on the Capital Beltway. Because of its unassuming appearance from the roadway, few of the quarter million people who travel across it on a daily basis realize its scale and importance, and some do not even realize they are crossing over a bridge. It is the Northwest Branch Bridge. The bridge seen from the Northwest Branch gorge, looking north from the Oakview side of the creek. The blue shape on top of the bridge is a large box truck that was driving over as I took this photo. The truck provides a nice sense of scale. A ~240 year old Black Gum tree that graced the skies of Four Corners for centuries fell a couple weeks ago. 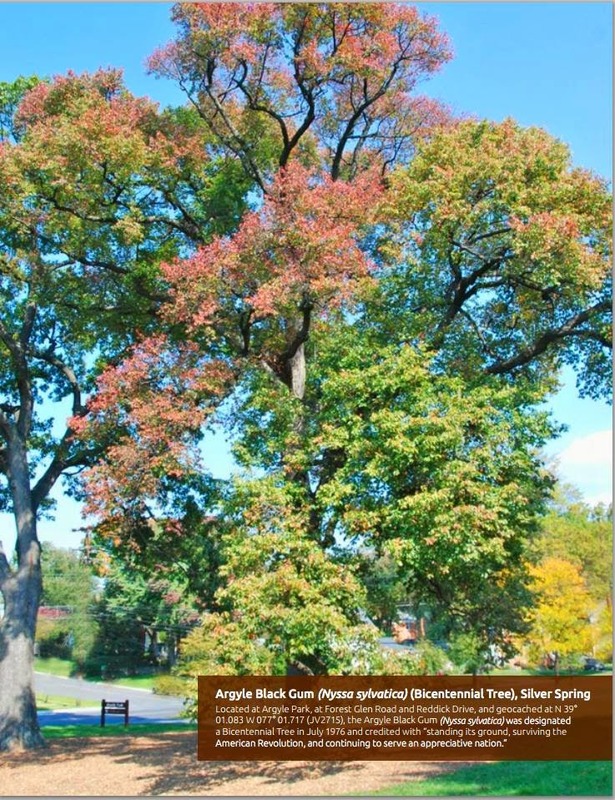 The tree was located off Forest Glen Road in Argyle Park, which takes its name for the former country club on the same site. The tree was brought down by the winds of March 12th, a victim of the terrible weather we have had this winter. A complete street is a street on which all road users are welcome. This means the street is comfortable for people in cars, on bikes, on foot, or in a bus. Unfortunately, most streets and roads in Montgomery County are not complete. They may be good for cars, but all other modes of travel have a difficult time on them. Incomplete streets lack safe crosswalks, bike infrastructure, good sidewalks, adequate lighting, and transit facilities (such as sheltered bus stops and bus lanes). Incomplete streets are generally bad for communities, since they discourage most ways of getting around, other than by car. This results in unnecessary traffic congestion, unhealthier people, and less community interaction. Thankfully, Four Corners has at least one complete street. Forest Glen Road is the most inclusive street in Four Corners, based on several criteria. Forest Glen Road is basically a local road connecting neighborhoods between Forest Glen and Four Corners. 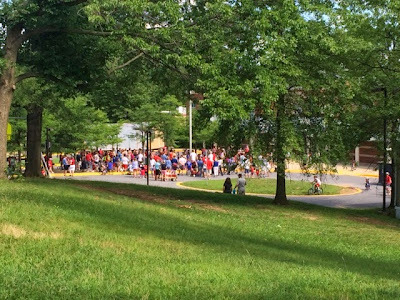 It is a popular bike route because it provides direct access to the Sligo Creek Trail, as well as the Forest Glen Metro Station. The road is also home to several recreational facilities, such as Argyle Park, the Senior Citizen Center, Sligo Creek Park, and the former Boys and Girls Club, so it gets a good amount of pedestrian and bicycle traffic that other roads around Four Corners don't get. I chose the Street View image above because it shows several things that make Forest Glen Road a nice experience for all users. Happy Saint Patrick's Day! And to celebrate, Four Corners is cleaning from yet another snowfall. This winter had been a rough one for the D.C. area. While we have not gotten the same volume of snow as 2010/2011, the number and frequency of snowstorms this season has been greater than any other in recent memory. This mean tons (literally) of salt, sand, and brine have been distributed onto local roads almost a dozen times this winter. After reading about how Montgomery County spent $25 million on snow removal and road treatment this winter (greatly surpassing the $9.1 million set aside in the budget), I asked the following question: was all of that really necessary? The streets are full of salt and sand from the multiple snowstorms this winter. The sand that is not washed into local streams will be swept up in April. Photo by the author. I've always found snow removal to be puzzling. Governments and businesses spend millions on it, and it is so unpredictable (in an area like ours) that it is almost impossible to accurately budget for. The odd part is that a ton of money gets spent on something that will disappear within a couple days anyways. I'm not saying we should have no snow removal whatsoever, but I've wondered if it is worth the amount of money it costs, and if it is a prudent use of limited funds. The stretch of University Boulevard East between Williamsburg Drive and Saint Lawrence Drive has seen dozens of crashes over the years. All of these crashes have similar circumstances: the road bends to the left, and a driver keeps going straight. Two of the three houses along this block have high property fences in their front yards. The fences help keep out the noise and trash from the road. Unfortunately, these fences get damaged or destroyed every time there is a crash. Usually it is just the fences that get damaged, but a crash last week was a bit more serious. Tire marks in the front yard of 100 University Boulevard East. Photo by the author. To follow up on my post last week about the elevations of Four Corners. As that article said, Four Corners is a pretty hilly place. The hills contribute to the character of our neighborhoods. Finding a jogging route or a bike route without hills is basically impossible. However, the hills make for some cool perspectives and interesting home situations that you won't find in many other places in the region. Not many neighborhoods around us have so many hills, or such large hills. But why are there so many large hills in Four Corners, and how tall/steep are they? So what is the biggest hill in Four Corners? This title could be debated, as there are many short steep hills that could claim it, as well as long gradual ones that are impressive even though they are less steep. After looking at various hills around Four Corners and doing some rough geometric calculations, I have determined the steepest and most impressive hill in the area to be the following: Brookmoor Drive between Williamsburg Drive and Penwood Road. Looking up Brookmoor from Williamsburg. Image from Google Stretview.